We all go into spaces that are hubs of activity. The multitude of voices, people coming in and out, and all the associated sounds of movement creates a composite sound with a distinctive rhythm all its own. I created this piece in 2005 when Chat Rooms became temporarily popular. I imagined the pulsating energy of all of the various dialogs and the interweaving of conversations – becoming a separate entity called Chat. 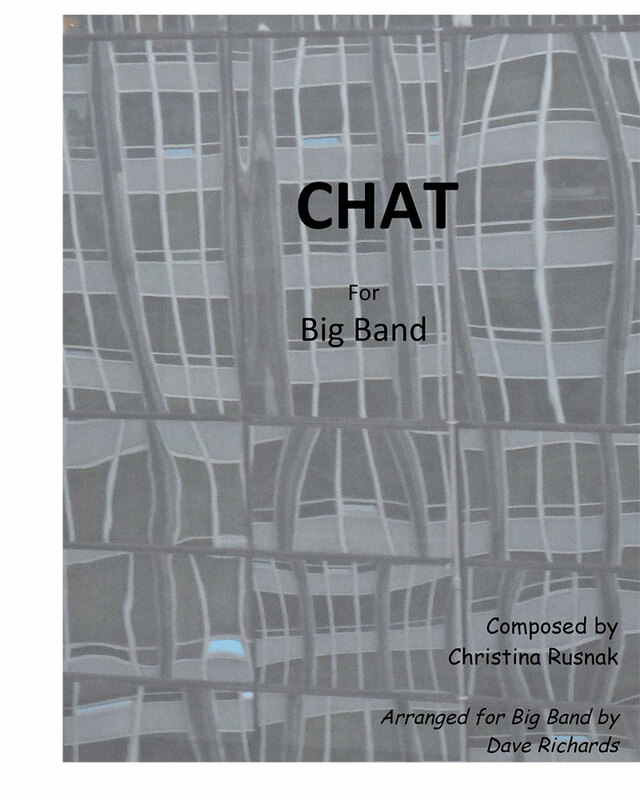 Arranged by Dave Richards for 17 piece Big Band in 2007. (Alto Sax dbl flute) Available as Bound score +separate parts.